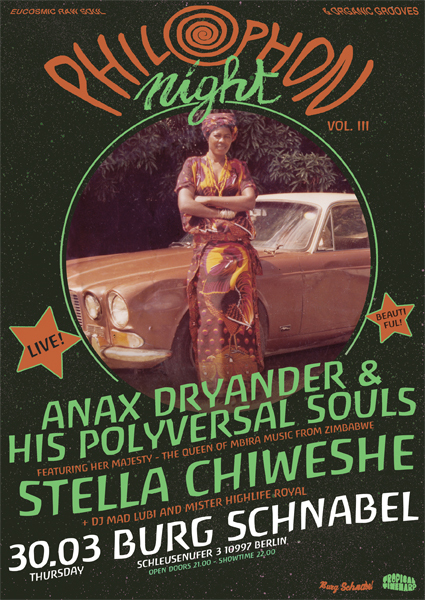 The Polyversal Souls are back with another collaboration with Ethopia's No. 1 soul singer Alemayehu Eshete. As they did on their first mutual release Alteleyeshegnem (PH45011), one more time the band presents a new interpretation of one of Alemayehu's classic songs. Feqer Feqer Nèw is heavy soul at his best, completed by Alemayehu's trade mark vocal style. On Portrait of Alemayehu (Daytime), the Polyversal Souls are admiringly painting a picture of the master's gentle aura which surrounded him during the session. 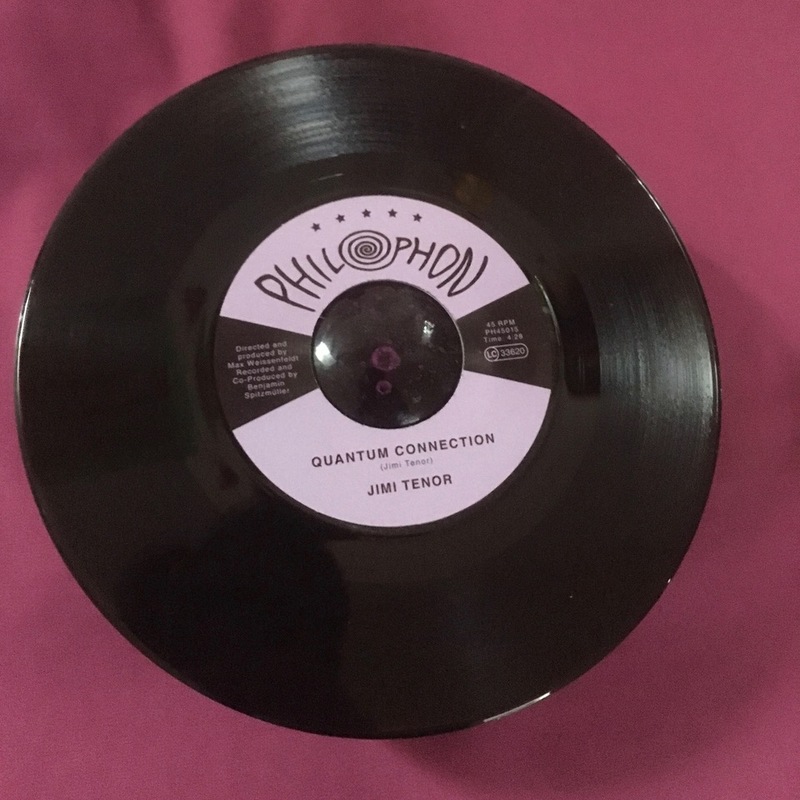 Jimi Tenor delivers another 7" on Philophon. This time he teamed up with the two glorious gospel queens Florence Adooni and Lizzy Amaliyenga from Bolgatanga/Northern Ghana. 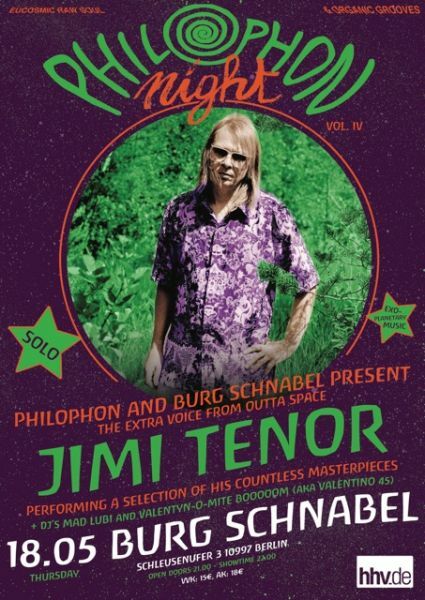 This release is a first insight into the next album by Jimi on Philophon, which will be released later the year. Vocalize My Luv is a charmingly presented lure for love. The secret of the song is that drummer Ekow Alabi Savage's upfront high-life beat is triggering a Jimi-operated Korg MS-20 bass synth. Man and machine are melting down into a light and sportive groove, which irresistibly invites you to do some frisky aerobic moves on the 3am dancefloor. Ki'igba is a classic Frafra gospel song by Alogte Oho, completed with some jubilating flute by master Jimi. With his third single release, Y-Bayani (pronounced like Why-Bayani) shows clearly that he is the most intriguing roots-reggae sensation coming out of Ghana. He is backed again by the lushly grooving Band of Enlightenment, Reason and Love. On We Are The Band of Enlightenment, Reason And Love the group presents their personal anthem. The song is a cinematic journey starting with a mighty horn theme, followed up by a mantric chant and enters finally into a wall of sound in double time. It's a small symphony for sure. "Bitteschön, Philophon!" presents a "best of" selection taken from the so far fifteen 7" releases by the Berlin-based label Philophon. 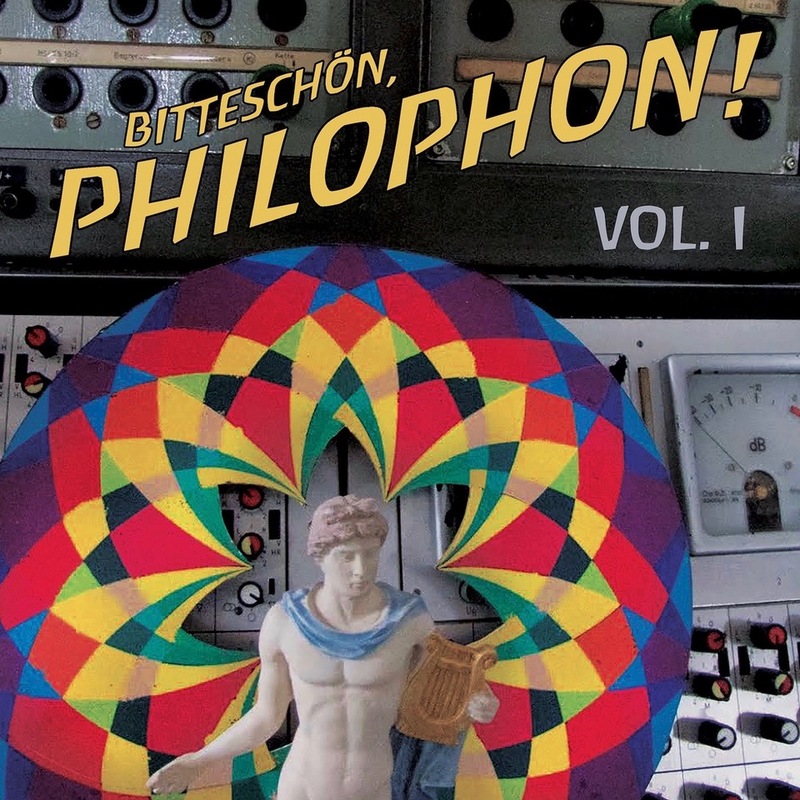 Greats as Jimi Tenor, Alemayehu Eshete and Hailu Mergia as well as new discoveries such as Guy One, Alogte Oho and Y-Bayani echo on "Bitteschön" the wide spectrum of the Philophon catalogue. 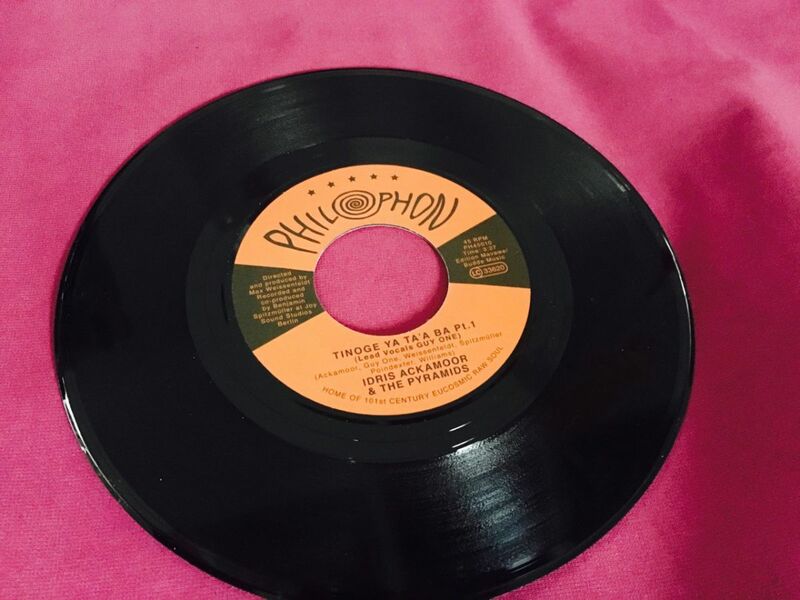 Philophon puts its emphasis on authentic local styles - from heavy grooving Ethio-Jazz coming out of Addis Abeba to cheerful Frafra-Gospel, as it is celebrated in Bolgatanga/Northern Ghana. 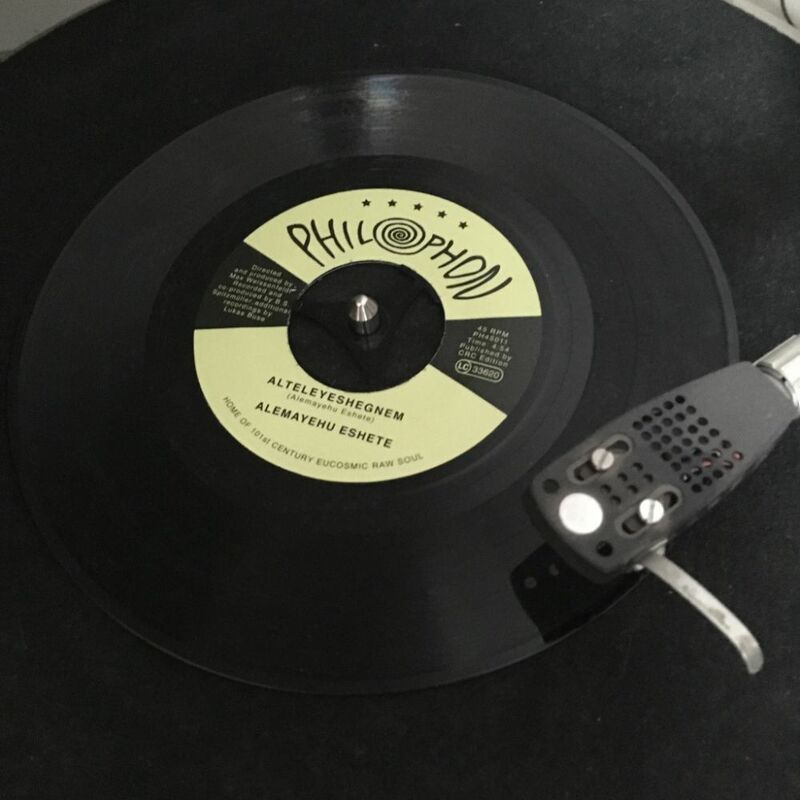 Most recordings took place where the music is located - and that's the recipe for Philophon's productions: go to the source and dive into the real. Named after the tenor saxophone, actually, Jimi Tenor is not just Jimi Tenor - he's as well Jimi Keys, Jimi Flute, Jimi Vox and Jimi Composer. Yeah, he is, as a multi-instrumentalist and music master in general, all of this! But wait: Active since the mid-80's he's also Jimi Legend. And if you overlook his whole oeuvre then finally you will find out that on top of all of this he's Jimi Genius. Quantum Connection is Jimi's contribution to the recent Kraut-Life craze of the Berlin underground. Kraut-Life is the brand-new hybrid of Ghanaian Highlife and German - here extended to Northern Europe, as Finnish kitchen is also kraut-based - romantic melancholy. A heavy and driving Highlife beat (yeah, it's not Afro-Beat), screaming psychedelic sound-fragments and a sung desire for a subatomic love affair makes the song another undoubted original by Jimi. 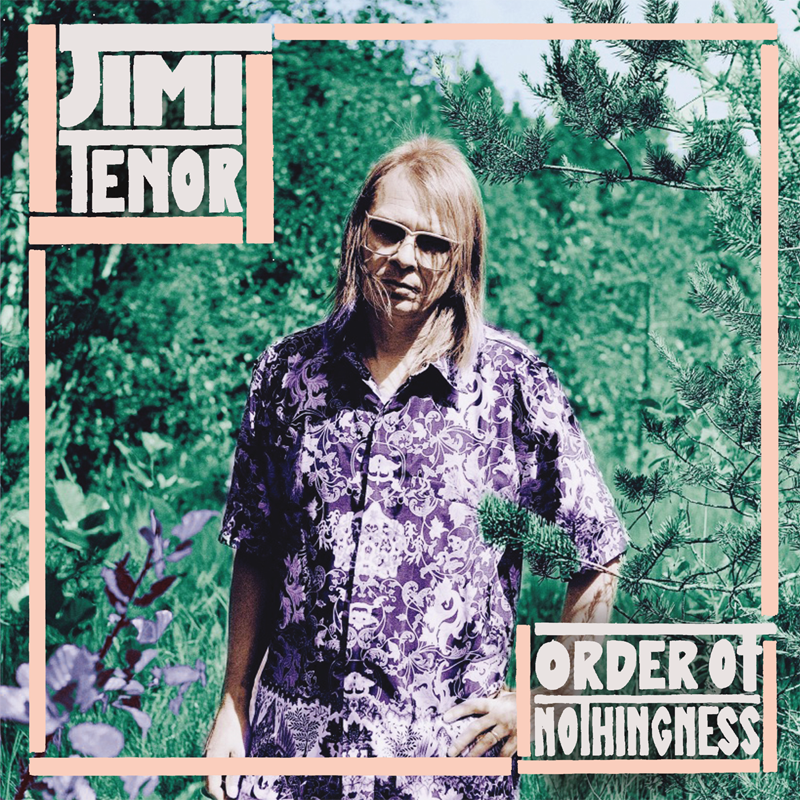 My Mind Will Travel (Teen Party Edit) is a heavily danceable edit of the epic eight minutes version of that piece, which you can hear on Jimi's upcoming full-length album Order Of Nothingness, released on Philophon this June. For Jimi, the physical world seems to be limited: but he is confident that his mind can dive deeply and boarder less in the mystery of our micro- and macro-cosmo. As the lead singer of George Darko's legendary Burger-Highlife hit-band, Lee Dodou became the number one voice of 80's Highlife. Born in Kumasi, the epicenter of Ghanaian Highlife, he came to Berlin in the late 70's - by then the uprising epicenter of Burger-Highlife - to work as a back-up-singer for Pat Thomas. After joining and leaving Georg Darko and running his own band "Kantata", he stopped releasing music in the early 90's. Now, Philophon is proud to present new recordings of his soulful genius to the world of 2018. Basa Basa is a song in the classic "concert party" style, as it was played in the glorious 60's. After a firey horn introduction Lee takes over in that funny and entertaining manner typical for "concert party" music. Buzz Duncker joins Lee's phrases with some gentle clarinet. Highlife at its best! Sahara Akwantuo is anything but a classic: it's the start of a kind of philophonic Highlife, labeled as Kraut-Life. Ghanaian love of life meets German romantic melancholy. Happy rhythms meet mysterious synth landscapes. Eternal summertime and mangos are meeting a wet winter world and roast apples. Kraut-Life at its best! Guy One's international debut #1 is an album rooted in tradition as much as it is the contemporary ("Frafra music Made in Germany" says drummer producer Max Weissenfeldt if he's forced to put a label on it) but given the fact that the traditionalism of Frafra music itself is a largely unknown force, the results are more even more potent and stirring in their creations. Choirs, trumpet, organ, bass, drums, synthesiser, vibraphone, saxophone and piano, the album is as bursting with instrumentation as it is ideas and innovation. The album's perfect positioning between the old and the new and in taking that middle ground and launching it into completely new territory is enough to completely unglue the definitions of what music can be. With the single "Everything You Do, You Do For Yourself" North-Ghanaian Kologo master Guy One opens the door to his first international release #1, which will be available end of January 2018. Guy One promises what his name is saying: he is the number one artist of Frafra music, named after his people: the Frafra. "Everything You Do, You Do For Yourself" is his only song having a phrase in English. Here he is following the example of his collegue and friend King Ayisoba, who introduced the use of English into Frafra music a few years ago. The beat is a driving Highlife rhythm. 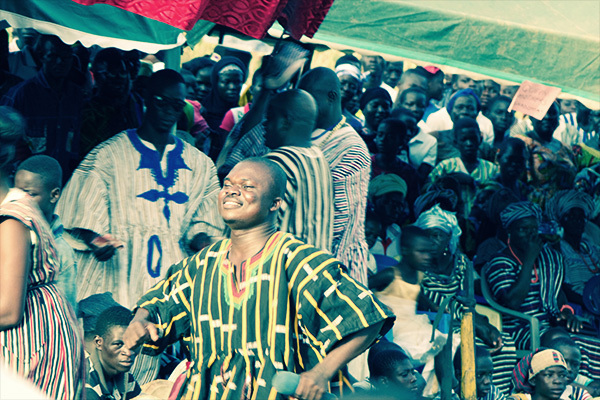 That's the kind of groove we all love Ghana for! On "Estre" we have special guest Florence Adooni, one of the leading voices of Frafra-Gospel. She is interweaving perfectly with the horn arrangements by Max Weissenfeldt, as well the drummer of the song, and gives after her part the lead to Mr. 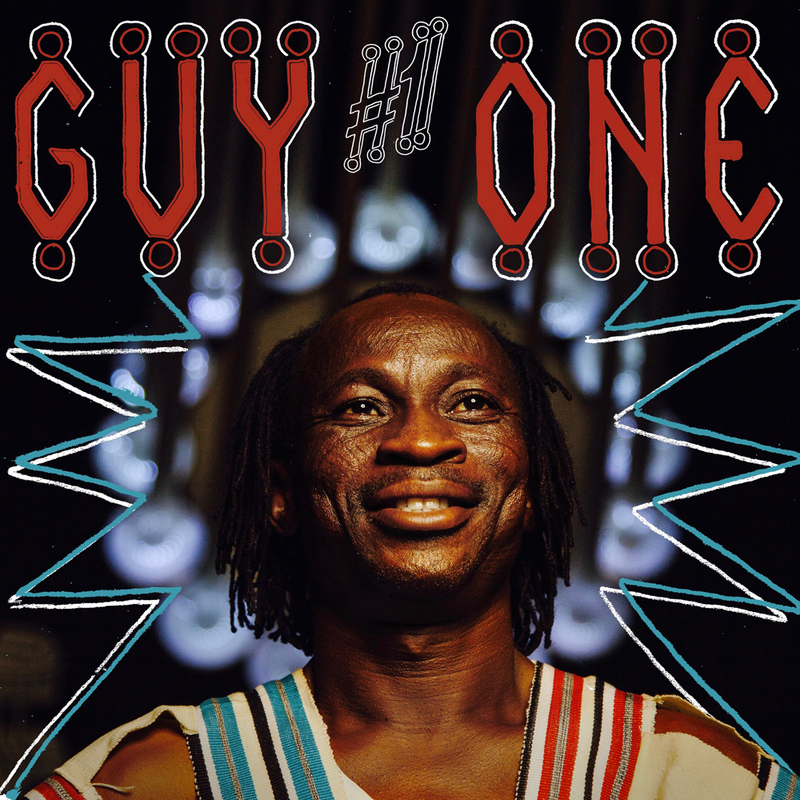 Guy One - yeah, the number one! Alemayehu Eshete is considered the golden voice of Ethopia. Since his first hit single "Seul" in 1961 he has become the father figure of the soulful stream of Ethopian music. In Ethiopia no other musician adapted the newest trends from the US soul scene as consequently as Alemayehu did. 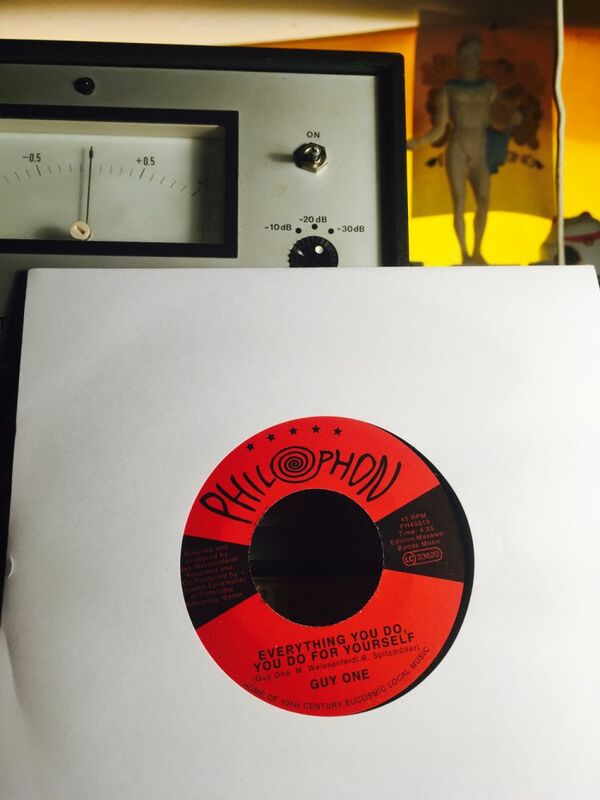 With this new 7" he continues his soulful approach on Ethopian music. His funky classic Alteleyeshegnem is here re-interpretated by the Philophon house band in an even funkier way than the original. A tough beat is crisscrossed by mystic harmonies and a pumping bassline. Temar Ledje points out the sweet side of master Alemayehu. This is another classic tune that comes dosed with a rejuvenating cure by the Philophon production team. Just listen! The cooperation between Alemayehu Eshete and Philophon was initiated by Listros e.V. Berlin with support by the Federal Cultural Foundation of Germany. 2016 was the year for Idris Ackamoor & the Pyramids: their album "We Be All Africans" (produced by Philophon and released on Strut Rec.) 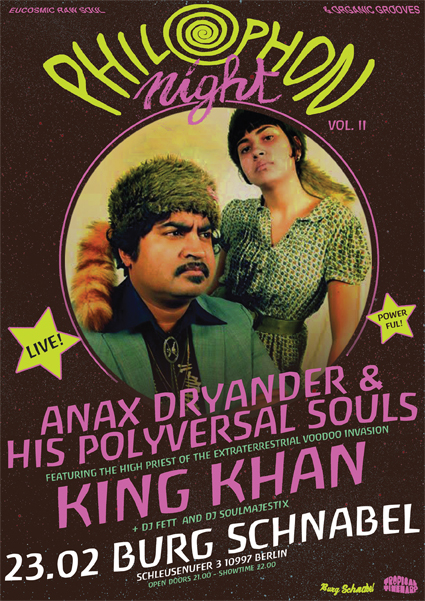 vaulted them among the global top acts of the current Spiritual Jazz renaissance. The strengh of the group is its deep connection to Africa: not just that their music is inspired by the spirit of Africa, they actually founded themselves on an extended trip to the Motherland in 1972. 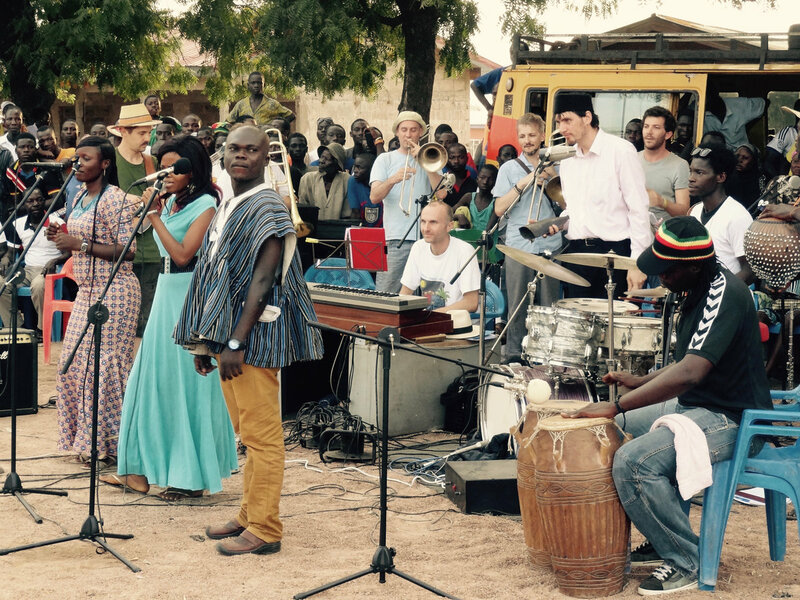 On that trip Idris Ackamoor visited the tiny town Bolgatanga in Northern Ghana to play with local Frafra musicians - an experiance which changed his life. Now, after 45 years, Idris dives once more into the magical music of the Frafra people by teaming up with master musician Guy One, the no. 1 Kologo artist of the vital music scene of Bolgatanga. On "Tinoge Ya Ta'a Ba" Guy One sings about the power of unity - a unity you hear clearly on this Afro-Euro-American cooperation: a driving rhythm, a eulogizing saxophone, a gripping voice and in total a journey into another dimension. 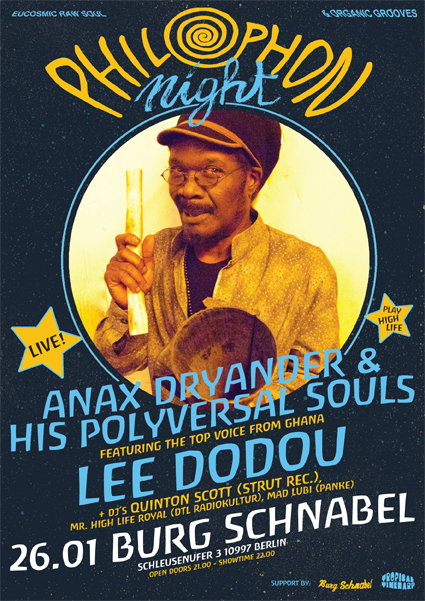 We are happy and proud to announce LEE DODOU playing live on stage together with our house band THE POLYVERSAL SOULS. Lee was born in Kumasi/Ghana, the birthplace of Sikyi-Highlife. He was learning Highlife through his mother milk and played with greats like Yamoah. In the early 80s Lee moved to Berlin where he became the voice of Burger-Highlife as the lead singer of the George Darko Band. That band became a world hit. Now, Lee brings us back to the roots of Highlife and presents a fine selection of classic tunes from the incredible great repertoire of Ghana's music heritage. Three years ago, on a dry January day, Max Weissenfeldt was waiting for a bus in Bolgatanga, a huge transport hub in northern Ghana. 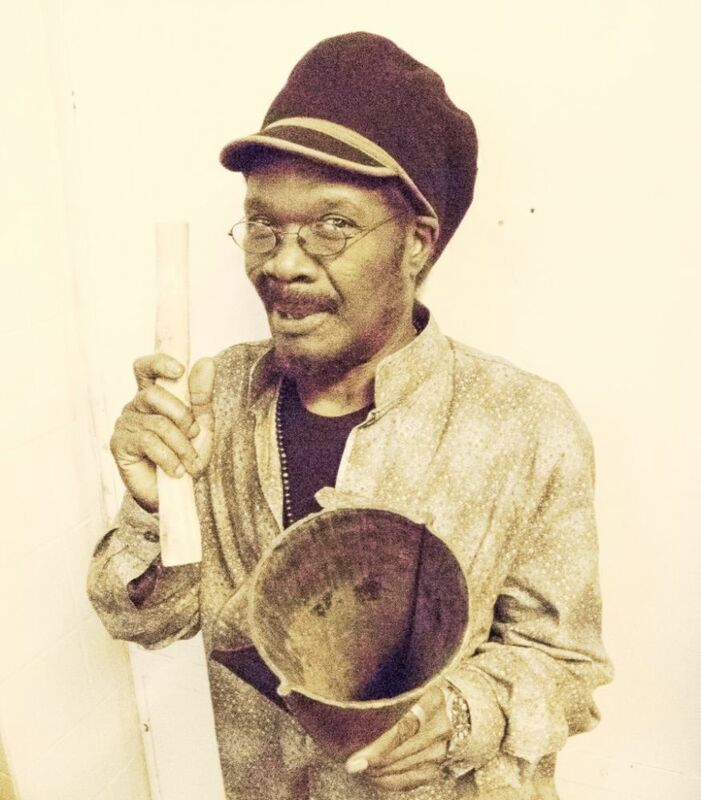 The former Poets of Rhythm drummer was in the country to record with Guy One, a prominent local musician who plays the kologo—a sort of two-stringed banjo—and sings in a raspy, magnetic voice. Weissenfeldt eventually signed Guy to his Philophon record label, but at the bus station, the German soul musician had another artist on his mind. Alogte Oho is the number one Frafra gospel artist from within the explosive music scene of Bolgatanga in Northern Ghana. His international debut was the 2014 single "Zota Yinne" (Philophon PH45002), which has already become a collectors item. 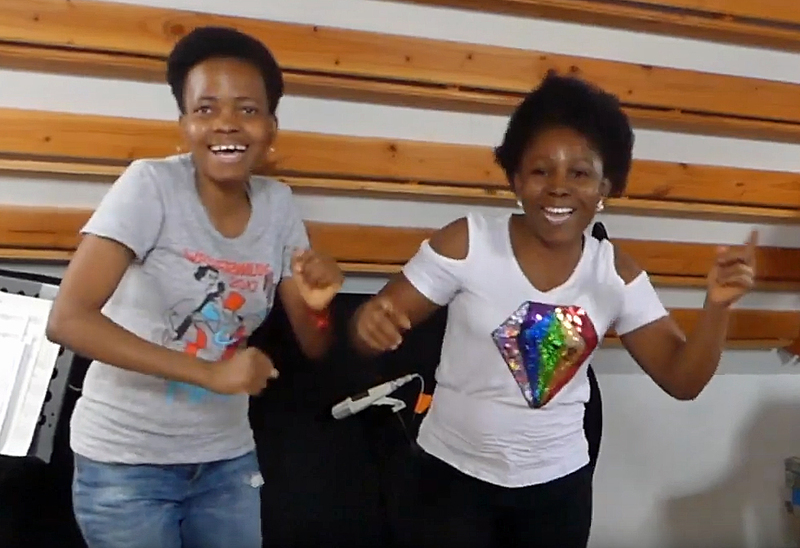 Alogte Oho is, as always, accompanied by his powerful female choir, the Sounds of Joy, comprised of Lizzy Amaliyenga, Patricia Adongo and Florence Adooni - all fantastic gospel performers in their own rights. 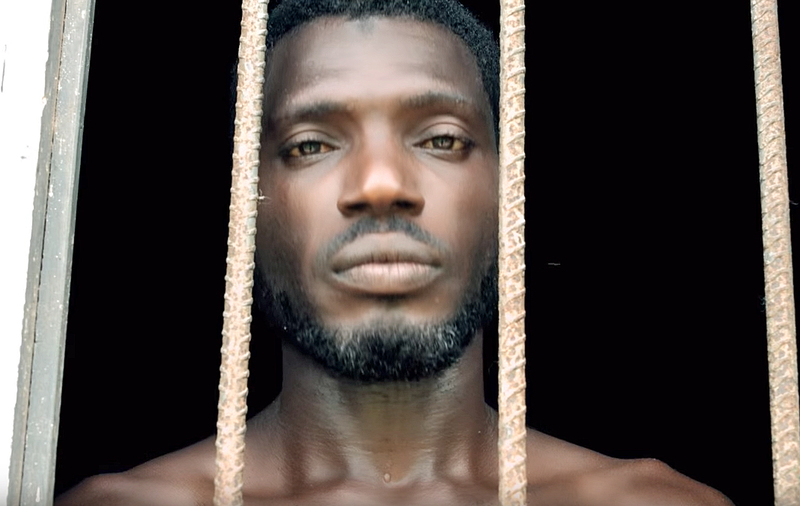 This clip was shot in Ghana/Saltpond (hometown of highlife legend Ebo Taylor, whose funkiest 70s and 80s work was put out recently on a Strut anthology). This is the first song Y-Bayani recorded for release. We met him in Saltpond while his friend Roy X (Jimmy Taylor, son of Ebo) played me a demo version of that song which they just recorded together. 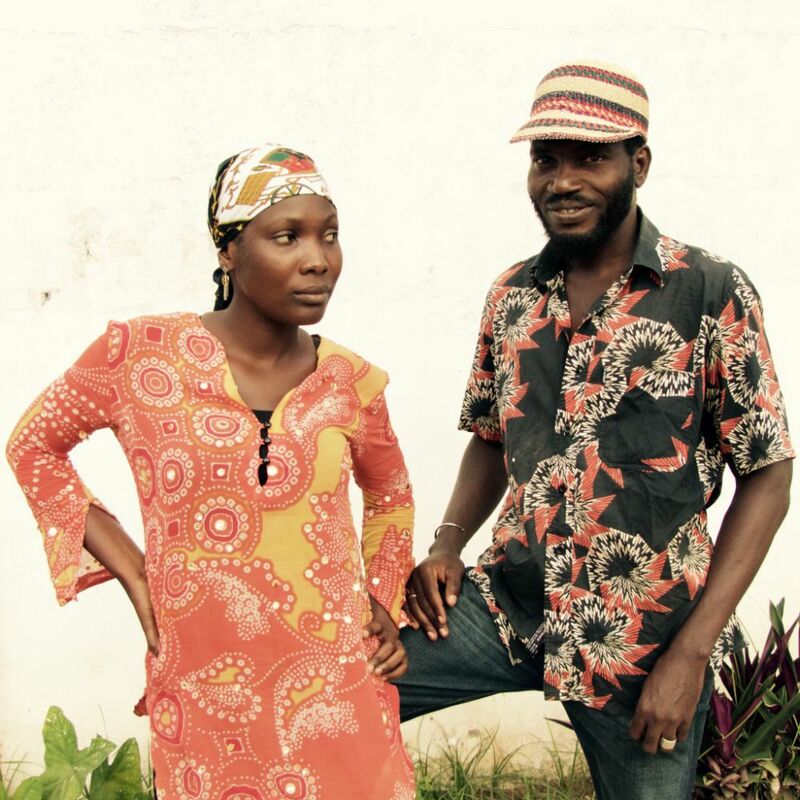 Ghana Panorama is a movie by Max Weissenfeldt about the music culture in Ghana. Beside portraits about the High-Life legends Ebo Taylor and Ralph Karikari or traditional masterdrummer Mustapha Tettey Addy, the movie gives a deeper insight into the vital role of music in Ghanas daily life. All music we like to dance to has its origine in the rhythm of West-Africa. Watch, listen and enjoy the evidence!